Before designing the work we spoke to over 100 local people in several settings “ the shopping centre, college, health centre and library. 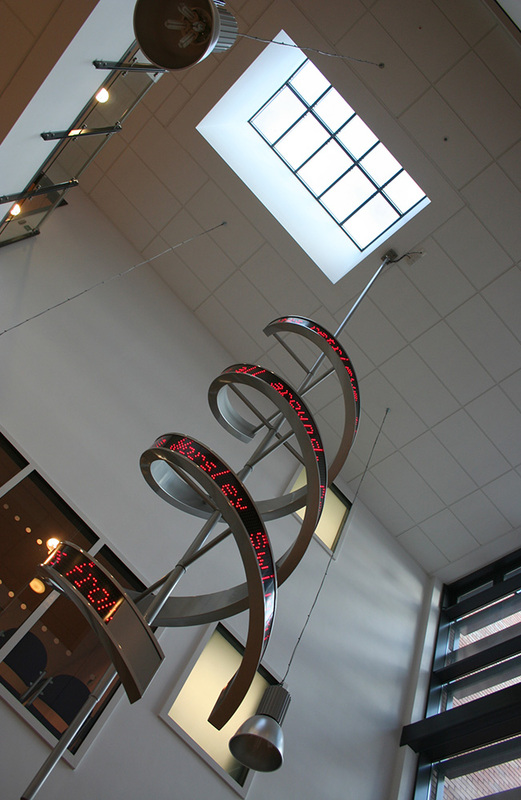 It was clear that people wanted a modern, contemporary work of art that was people-focused and looked to the future of Walkden. 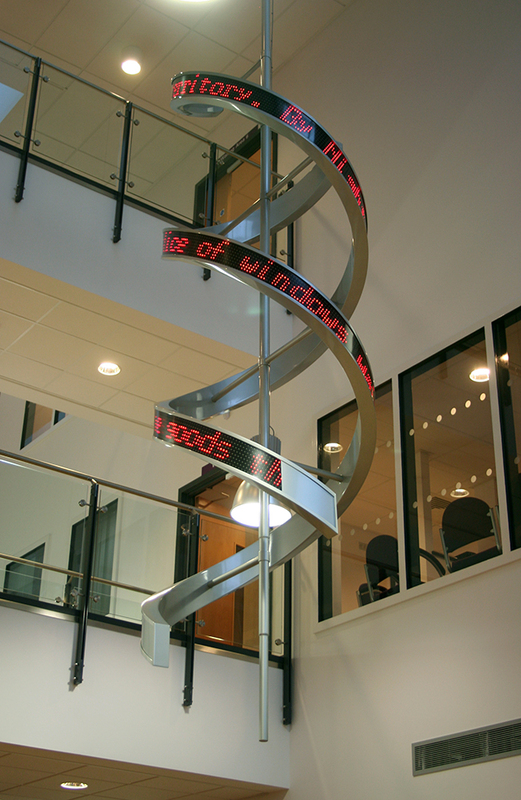 To these ends the scrolling text in the piece was created by local people and forms two interwoven poems based upon the identity of Walkden. From his design work, Stephen looked at using the metaphor of DNA. The two strands of the helix would represent the two functions of the building “ health and learning. Choosing the central atrium as the best location, the sculpture would also provide a focal point to the building and would be seen from all three floors. 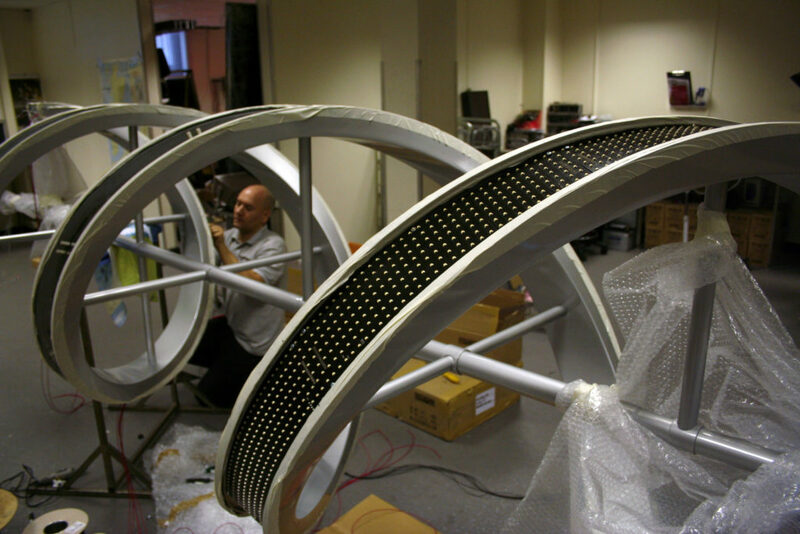 The most technically challenging aspect of the work was twisting the electronic ˜LED panels within a bespoke aluminium casing. 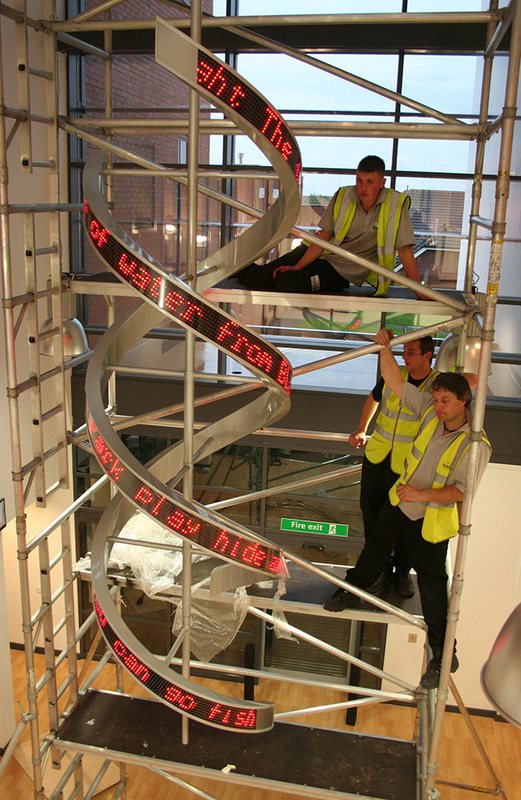 Scartworks appointed specialist companies to undertake this work.